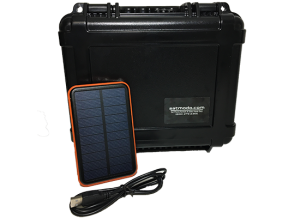 EXPLORER MSAT-G3 is perfect for Homeland Security, Law Enforcement, Emergency Responders, Off Road Racing . 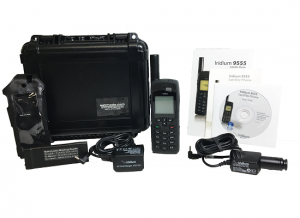 ‘EXPLORER MSAT-G3 is an IP-based Push-To-Talk (PTT) radio communications system for North America that supports satellite/LTE/3G/LAN back-haul and Land Mobile Radio (LMR) integration to provide seamless voice communication in any situation. EXPLORER MSAT-G3 is the next generation MSAT solution, providing PTT communication over satellite to ensure connectivity at all times while retaining the platform’s popular flat-rate service plans. The PTT system utilizes the power of Ligado Network’s SkyTerra-1 satellite and ViaSat’s low-latency, IP-based L-band Mobile Satellite Services network to deliver seamless communication between units. The MSAT network provides access to national and regional SMART Talk Groups which enable critical interoperable communications among homeland security officials, law enforcement, emergency responders, Off-road racing and public safety officials from various departments and agencies across the United States. The EXPLORER MSAT G3 solution is scalable from two to thousands of units, ensuring that government agency and emergency service personnel in North America can work smarter and safer. The new EXPLORER MSAT-G3 system automatically routes voice and data traffic via the most reliable network available with no user intervention required. 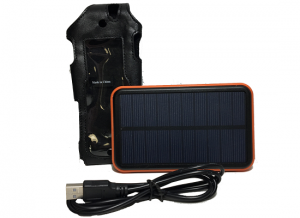 By automatically switching between satellite, cellular, and LAN, the system ensures that the user is always connected to the most suitable network. 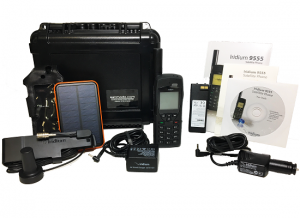 The EXPLORER MSAT-G3 system comprises a compact EXPLORER 122 L-band satellite terminal and an EXPLORER PTT Terminal with Handset. 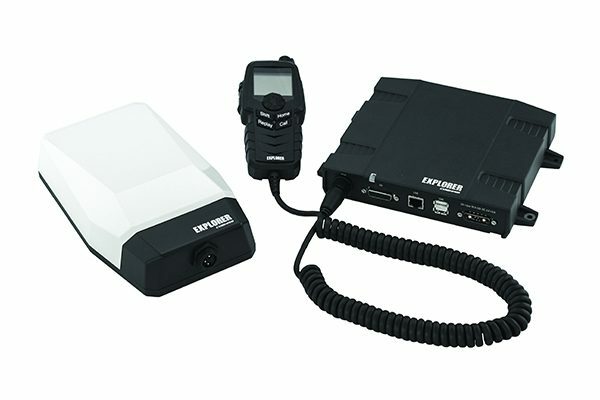 The EXPLORER 122 is a lightweight and durable communication system with an integrated transceiver and antenna. It is roof mountable and works at speeds up to 125 miles per hour. With an IP66 rating and no moving parts, the EXPLORER 122 is robust and durable for use in any application.